Raclette for Lunch! is a new feature at Fromagination, which recently hosted a video crew that came to investigate our Raclette meal, served daily at the shop. Raclette is a great treat during cold months when you need a hot meal and want some fantastic cheese in it. 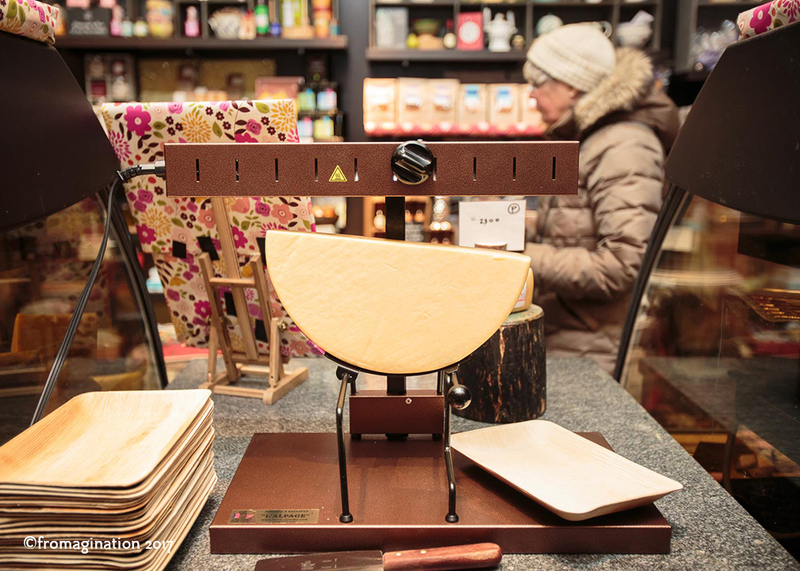 See our Raclette Lunch page for more information about trying some at the Fromagination shop. Fromagination also sells Raclette cheese for you to grill at home.